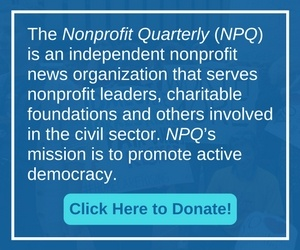 Wise nonprofits know that accepting a gift from any individual or institution links your reputation to theirs. Twin brothers Thomas and Timothy Pearson cared enough about peace to pledge $100 million to the University of Chicago to study conflict resolution, but the relationship soured and the donors want their cash back. This case is reminiscent of the historic Robertson suit against Princeton where the baby was eventually split. Indigenous Climate Action turned down a six-figure grant because the company held investments in fossil fuels, which violates the group’s raison d’être. Philanthropy on OxyContin: Does Charity Cleanse This Family’s Complicity in the Opioid Crisis? Is money made from intentionally or recklessly exploiting people and environments by business moguls acceptable when some gains are given to charity? 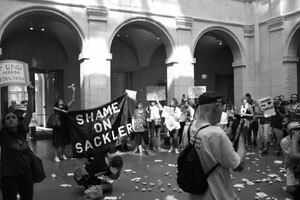 It is an age-old question, horribly illustrated by the Sackler family’s philanthropy, since much of their money has been made in pushing opioids.